This fresh cheese at its finest resembles a ball of mozzarella, but what makes it unique is its soft interiors and a filling of stringy curd and creamy panna. This artisinal cheese dates its origins to 1920s, to the Italian farms of the Apulia region, where sheep farming and agriculture were prominent. A favourite with cheese lovers, it’s also produced in the east coast of the United States, with increa­sing numbers of Italians migrating to the region since the nineteenth century. 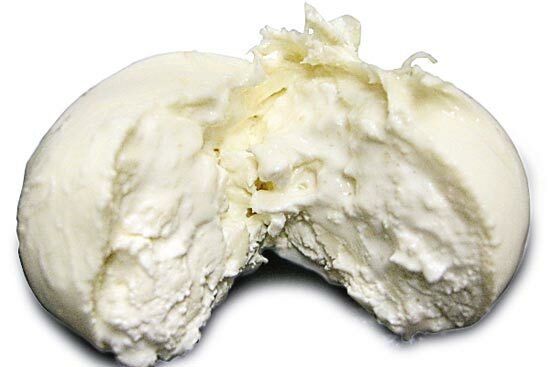 Burrata is served best when it is fresh and at room temperature, especially within 48 hours of production. The taste of this milky, fresh cheese is well accompanied by salads, crust breads, fresh tomatoes, olive oil and spaghetti.